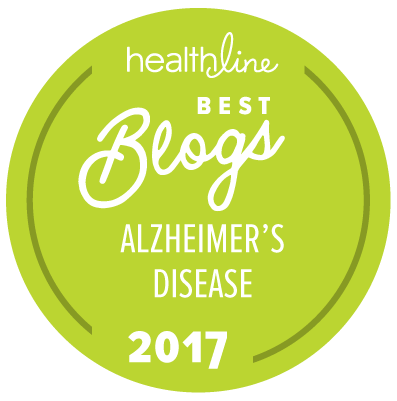 In this first blog of 2014, I would like to review some of the highlights from the world of Alzheimer’s disease research in 2013, as well as the new directions that we will likely be heading in 2014. Advances in brain imaging, specifically amyloid PET scans, have led the way towards earlier identification of Alzheimer’s. Their widespread use in larger studies has made it possible to visualize the presence of beta-amyloid deposition in individuals with no symptoms. The year began with the publication of additional data showing that amyloid deposition in the brain leads to atrophy, or shrinkage, of specific brain areas, even before patients develop memory loss. Research groups in France, Australia and the United States reported longitudinal studies of amyloid deposition in the brain, demonstrating that its presence predicts subsequent brain atrophy and cognitive decline. Additional developments in brain imaging were made with results of Avid’s Tau tracers, both of which allow for visualization of the abnormal Tau protein that contributes to the formation of the neurofibrillary tangles of Alzheimer’s. Tau PET scans will undoubtedly become a critical tool in Alzheimer’s research during the next few years, much like amyloid imaging has been so important since the first papers were published on its use nine years ago. In the spring of 2013, the National Institutes of Health held a meeting focusing on Alzheimer’s disease among people with Down syndrome, bringing researchers together to discuss ways to develop a consortium with an aim to understand Alzheimer’s in this highly susceptible population. The Down Syndrome Biomarker Initiative (DSBI) pilot study was launched this year as a feasibility study of a planned large-scale study to discover indicators of Alzheimer’s disease in Down syndrome, with the ultimate goal of better understanding brain aging and Alzheimer’s in adults with Down syndrome. A major publication in the New England Journal of Medicine by the RAND Corporation estimated the economic cost of dementia to the United States was approximately $203 billion in 2010. This paper garnered major attention, as it was a well conducted analysis of the economic impact of dementia. The sheer dollar amount is greater than the cost of any other disease faced by our society and is expected to rapidly increase in the next decade. 2013 was also the year when the long awaited results of the phase III IGIV study were presented, which were unfortunately, negative. Additionally, researchers studying the drug Bexarotene were able to replicate some, but not all of the previously reported effects of this drug on memory and beta-amyloid in mouse models of Alzheimer’s disease. Nonetheless, a placebo controlled clinical trial of Bexarotene was launched this year for the treatment of Alzheimer’s. Results are expected mid-year in 2014. Perhaps one of the biggest events in the Alzheimer’s research world this year was the launch of the first clinical trial to prevent Alzheimer’s dementia in the general population. The trial, Anti-Amyloid in Asymptomatic Alzheimer’s Disease, or A4, is a three-year study looking at the effectiveness of a drug given to subjects who have absolutely no outward symptoms of memory loss but have positive amyloid scans of the brain. Much will be learned when this study is completed about how soon intervention can be offered in efforts to prevent Alzheimer’s disease. And finally, global focus on dementia was raised at this year’s G8 summit. All G8 nations made commitments to develop an international action plan for research, share information and data across the G8 countries and to provide unprecedented collaboration. The G8 plan includes open access to all publically-funded dementia research, the introduction of a new global envoy for dementia innovation, and the ambitious aim to “find a cure or disease-altering therapy by 2025.” This plan parallels the U.S. National Alzheimer’s Project Act (NAPA), with a goal of “preventing or effectively treating Alzheimer’s” by 2025. What Is on the Horizon in 2014? There are an unprecedented number of clinical trials now running with the aim of preventing Alzheimer’s. As data from recent studies suggest, it may only be through early intervention, before the symptomatic stage, that we can truly affect the course of AD and even consider preventing its dementia stage. We anticipate more discoveries this upcoming year with Tau imaging, as well as the use of biomarkers in asymptomatic individuals. New data is also expected from large-scale whole-genome studies, which are revealing other Alzheimer’s susceptibility genes. We also look forward to data from some of the new mouse models created with these newly discovered mutations to understand how they contribute to the development of Alzheimer’s, and perhaps represent treatment targets. We look forward to keeping you updated on the world of Alzheimer’s research in the upcoming year and are optimistic that there will be great developments in 2014. Stay tuned. The use of positron emission tomography (PET) imaging to diagnose Alzheimer’s disease (AD) appears to be closer to becoming a clinical tool, based on results from two articles published online in the Archives of Neurology. In one study, Adam S. Fleisher, M.D., from Banner Alzheimer’s Institute in Phoenix, and colleagues, evaluated PET imaging using the tracer florbetapir F 18. The study population included 68 individuals with probable Alzheimer’s disease, 60 individuals with mild cognitive impairment, and 82 healthy individuals who served as controls. PET scanning was used to monitor activity of the agent being studied. Dr. Fleisher and colleagues found differences in the brain uptake of florbetapir F 18, between the three groups, and in the detection of amyloid plaque; the differences may be large enough to help distinguish between the conditions, and between impaired versus unimpaired brains. In another study, David A. Wolk, M.D., from the Penn Memory Center in Philadelphia, and colleagues, evaluated use of a tracer called fluorine 18-labeled flutemetamol for imaging the brain. The study involved conducting PET scans on seven patients who were given the tracer. All had previously undergone a biopsy for normal pressure hydrocephalus, a progressive condition that includes dementia and can be difficult to distinguish from Alzheimer’s disease. Researchers found correspondence between readings of the PET scans and evidence of amyloid lesions the plaque associated with Alzheimer’s disease (provided by microscopic evaluation of the biopsied tissue). The greatest use of such scans may ultimately be to help rule out Alzheimer’s disease, instead of rule it in. That is, in the physician’s office, having a negative scan (meaning no detectable amyloid buildup in the brain) may be helpful to clinicians in ruling out Alzheimer’s disease as the cause of the memory and thinking changes a person is experiencing. However, a positive scan (showing that there is amyloid buildup in the brain) has limited utility at this point. Having amyloid buildup does not mean for certain that one has Alzheimer’s dementia, especially in a patient who may not have symptoms. About 30 percent of elderly people have plaque, but not Alzheimer’s dementia. It is believed that having a positive amyloid scan may reflect the early stages of Alzheimer’s disease (prior to the dementia phase) and increase one’s risk of developing Alzheimer’s dementia in the future. 2. A. S. Fleisher, K. Chen, X. Liu, A. Roontiva, P. Thiyyagura, N. Ayutyanont, A. D. Joshi, C. M. Clark, M. A. Mintun, M. J. Pontecorvo, P. M. Doraiswamy, K. A. Johnson, D. M. Skovronsky, E. M. Reiman. Using Positron Emission Tomography and Florbetapir F 18 to Image Cortical Amyloid in Patients With Mild Cognitive Impairment or Dementia Due to Alzheimer Disease. Archives of Neurology, 2011.